Some useful sites that can help you learn Italian. 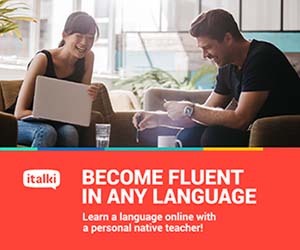 If you're looking for a native language partner to have a conversation online, helping each other learn your respective languages, or you'd like to take some online lessons with a native teacher, visit this very popular site. Click on the picture on the right. A wide collection of grammar exercises, vocabularies and idioms, videos, audios, games and much more. Excellent Italian dictionary and also Italian-English and Italian-French dictionaries. Italian dictionary with many words, expressions and synonyms. Free software to install on your computer or smartphone. With the application you can create your own virtual cards that help you memorize words, expressions or phrases you want to learn. On this fantastic free site you can create your stacks of flashcards without downloading any software. The cards can be learnt in different funny ways - flashcards, matching, hangman, crosswords, quizzes and so on, all prepared by the website based on your cards. On the site of Radio Italia you can listen only to Italian music (click on Ascolta) and you will also find information about many Italian singers. A page to practice Italian in a funny way, with texts of songs. At the top right corner choose your language and your level, then choose the song you prefer. Interesting videos to test your listening comprehension. Funny games and interesting information about Italy. Neapolitan little students writing exercises collected by their teacher Marcello D'Orta (with Hungarian translation). Well-known audio tales to listen online or to download. Fairy tales to read and to listen. 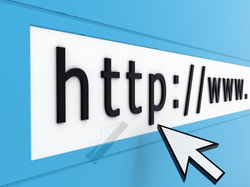 On this site you will learn simple words - with images and audio. Many nursery rhymes, jokes, fairy tales, songs and many other things to have fun. Classic fairy tales to read. All the fairy tales of the Brothers Grimm to read. Great collection of interactive language games, especially for children who are already able to write.